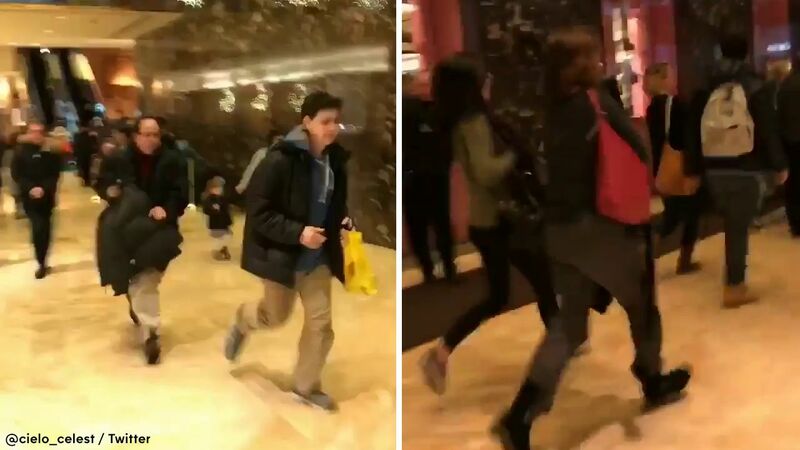 MIDTOWN, Manhattan -- A portion of Trump Tower has been evacuated after a suspicious package was found inside the Midtown Manhattan building Tuesday. The NYPD said the package was a bag of children's toys that was found in a public space area in the building. It is being investigated by officers. President-elect Donald Trump lives in the tower and has his offices there, though he is presently at his Mar-a-Lago estate in Florida. Andy Martin, a 16-year-old from the New York City suburb of Huntington, says he was in Manhattan with family. He says people were evacuated "very quickly," with police shouting and telling people to leave.